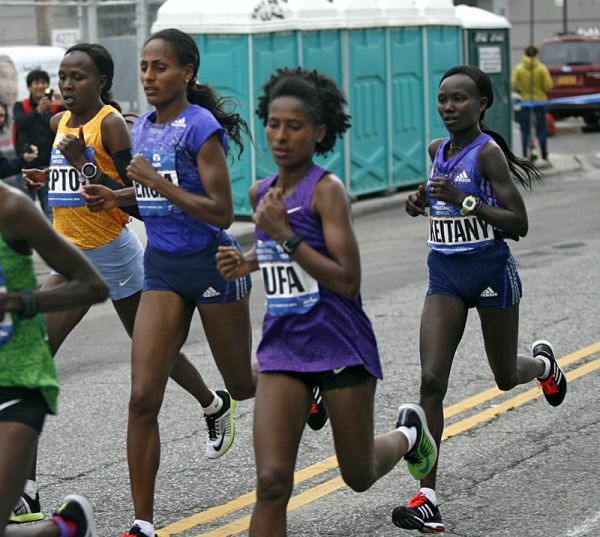 Mary Keitany plots her move en route to victory in 2:24:25. Photo by Andy Kiss. Brenn describes his close, but no cigar marathon (3:01:04) at NYC, with a nod to prior guests Uli Fluhme and Angela Ortiz, while Gregg highlights stellar performances by our listeners. Brenn and Gregg look optimistically to next year’s races, making a call for stronger butts and hips.